I'm not sure if this is the right forum for this, but here it goes. I was curious if there was a recommended cam spec for hydraulic roller cams similar to the George Pence cams I keep hearing about on the vintagemustang forums. I have a 1970 Mach 1 I recently bought that I am planning a 393C Stroker build for. It is going to be 75% street/25% track. 1970 2 bolt block bored .030"
Hoping to make 500hp+ on pump gas. I am still in the planning stage of the build, and have only dropped off the block at the machinist for work. I'm new to Clevelands, most of my experience is from building Chevy LS motors, so any suggestions for improvement is also appreciated. Five hundred horsepower is a lot of "street-able" horsepower for this 40 year old engine to produce. It’s easy to build a 440 horsepower Cleveland street engine. But 500 BHP was an expensive, rough idling, pro-level racing engine 40 years ago. In fact De Tomaso raced Cleveland powered Panteras in the World Endurance Racing series with only 440 horsepower; they kept the horsepower down at that level in order to achieve reliability with the production castings. I’m relating this to you for a reason. Without all the right components and engine prep I advise people to limit engine speed to 6200 rpm. That’s 3600 FPM mean piston speed with a 3.50 stroke. 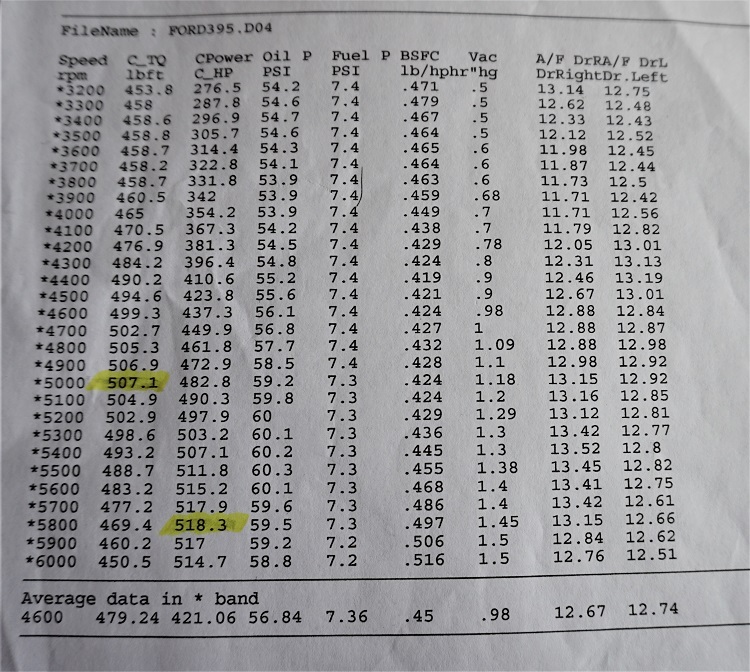 But with a 3.85 stroke 3600 FPM mean piston speed is only 5600 rpm. However with the proper components and prep you can set the rev limit at 6600 rpm (about 4200 FPM mean piston speed). That's a gain of an extra 1000 rpm. 4200 FPM is all the piston speed the production block was designed to endure. The popularity of "stroker" engines today was not a consideration when the engine was designed in 1967. A 500 horsepower Cleveland is still an expensive engine to build if you expect it to be durable. Perhaps the biggest concern is the production engine block's thin cylinder walls; your stroker kit has a rod length to stroke ratio that's a little less than the limit I would advise (actually a 3.85 stroker kit pushes all the limits a little too far). The slipper skirt style SRP pistons are not the best choice considering the thin cylinder wall issue, round skirt pistons would be better. Unfortunately no stroker kit manufacturer supplies round skirt pistons with their kit. My camshafts have an amount of overlap and an IVO which promote good drivability and vacuum. Engine performance from idle to 3000 rpm is prioritized higher than performance above 4000 rpm. I design to achieve wide flat torque curves, which are ideal for street engines, circuit racing, autocross, winding mountain roads and stop and go city traffic. This is not the type of curve however that drag racers prefer, nor is it the best curve for reaching a high peak number on a dyno. I also emphasize durability, longevity, and reliability. All these things are key attributes of a street engine. Here’s the camshaft, it’s a custom ground camshaft. It’s the biggest camshaft that can be called a “street cam”; in other words it runs up against all the limits I place on street cam design. The valve lift comes close to the 0.630” maximum lift limit of the Manley valve spring I recommend. Since the intake valve closes at 75.5° ABDC do what is necessary to nudge the static compression ratio up to 10.5:1 in order to achieve 7.6:1 dynamic compression. That's premium pump gas friendly (91 octane US/Canadian pump gas or 95 octane pump gas everywhere else in the world). Any more compression or higher octane fuel puts you into cylinder wall cracking territory ... avoiding conditions that lead to cylinder wall cracking will be important if the engine will actually see 25% track use because cylinder walls crack at wide open throttle, when volumetric efficiency & therefore cylinder pressure is highest. For induction and exhaust consider the Blue Thunder intake manifold, with the exhaust heat passage welded closed (but do not lower the plenum divider); 850 CFM carb with annular boosters; and low back pressure exhaust & mufflers. Glad to point the way RumbleBee, I have a 393 stroker, hears my engine in abbreviation: heavily modified C-302-B heads, Crane fat boy roller rockers 1.73,Morroso 5/16 push rods, balanced and blue printed, SVO harmonic balancer, Electromotive crank trigger, single plane high rise ( spider type ) intake, "Pro Systems" 750 double pumper, Airmotive fuel pump. Not used on dyno, 180 headers, tested with long tube Mustang headers. The engine is very drivable and very responsive. I did not make the dyno session, the crank trigger was not set at the right advance, it was at 28! runs perfect at 32 degrees of advance, I also did not bring down the headers and their way better than the Mustang headers, The compression is 11 to 1. I think the motor is making at least 25 more horses. If your engine will have 475-500 bhp, I suggest budgeting an extra (? )$3000 for a 3.73:1 ring/pinion in the ZF. If you have a healthy sense of self-preservation, that should help keep the rev limit down in the torque band, at least in 5th gear! It should also help lengthen rear tire life. I'm told this makes the car less jerky in the lower gears, too. Jacks right on that gearing, I have it and it gives you a little longer legs. Here is the most recent camshaft feedback I've received. I have a 1937 Ford coupe with a 351C 4v ... the engine has a Torker Intake with injector bungs added and some mass flow parts added basically making it a home built mass flow EFI setup ... the engine also has 1970 closed chamber 4v heads ... flat top forged pistons ... compression is around 10.1 ... the camshaft is a Comp Cams hydraulic roller, advertised duration is 274/282, duration at 050 is 224/232 with .602"/.612" lift on a 110 lsa. The grind # is FC 3632F/3634F HR110 retrofit ... I'm tired of drivability associated with this camshaft and think I want something a little more street friendly and EFI friendly. I currently get a lot of bucking at low speed cruise, and when going around a corner ... 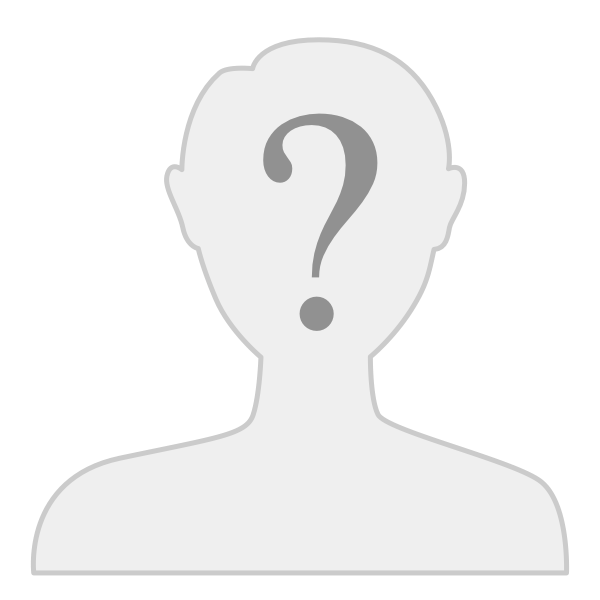 I'm looking for something that drives well, has some power (400hp) ... I'd like for this 37 to be a fun car with some get up. Today I took the car on my first test drive after the cam swap and I must say I'm very happy. I can put the car in 1st gear and just idle with little to no bucking, I have no bucking at slower speeds when taking a corner. The car still has a fair burble to the idle just like you said. The exhaust smells much better at idle now as I think the EFI isn't getting false readings from overlap. It also doesn't stall out when the a/c kicks in, and I can just let out on the clutch from a stop now without giving it fuel. It feels like the car has a lot of midrange but honestly it was misting all day so punching it in most any gear would result in wheel spin, I'll have to try it some more when its dry out. I have to say I'm pretty darn happy so far, I think my wife won't complain near as much now when she rides in the car, at least I hope not. lol. Thanks for your replies everyone. I had a few questions about clarification yet. George, what type Manley valve springs were you recommending? If I am using a throttle body style Fitech EFI system, would I be better off with a single plane instead of dual plane? If your engine will have 475-500 bhp, I suggest budgeting an extra (? )$3000 for a 3.73:1 ring/pinion in the ZF. I'm assuming that you are referring to a gear in a Pantera transmission? I'm using a TKO 600 in a 1970 Mach 1 this is going into. The Manley valve spring is part no. 221432-16 Nextek valve springs (1.90 installed height, 150 lbs. seated force, 0.630” maximum lift; 1.530 inch OD and 0.750 inch ID). Accompanied by Manley 1.535 inch OD x 0.062 inch thick valve spring cups; part no. 42330-16 (0.635 inch ID) and Manley part no. 23644-16 titanium 10° valve spring retainers. The valve spring seats need to be reduced in height approximately 0.042 inch with Manley’s seat cutting tool part no. 41835 to accommodate taller valve springs (1.90 inch installed height whereas the production height is 1.82 inch) and valve spring cups (0.062 inch thick). Valves with 0.100 inch longer stems are recommended for installation; therefore even though the required additional clearance adds-up to 0.142 inch the amount the spring seats shall need to be machined is reduced by approximately 0.100 inch. Rocker arm geometry also plays a part in this decision making process, it helps if the rocker arm pedestals are not yet modified. If the have been machined already you will need to stand back and look at the options. I can help. The more a block and or the heads have been machined in the past, the more difficult it becomes to advise what to do via the internet. In terms of the FI Tech fuel injection which system will you be installing, using their terminology? The easy street system, or something else? As of right now I only have the block. It will probably be another week or 2 till my machinist will tell me its condition with sonic checking. I am still in the research phase of my build trying to understand all I can before I start buying components. I was planning on getting the FiTech Go EFI 4 600 HP #30002. One thing that my machinist and I have been going back and forth over is the lifter bushings. He says that due to to my plans to use a hydraulic roller cam and limited amount of time on the strip, its not necessary for me. The 351C has a propensity for rod bearing wear. 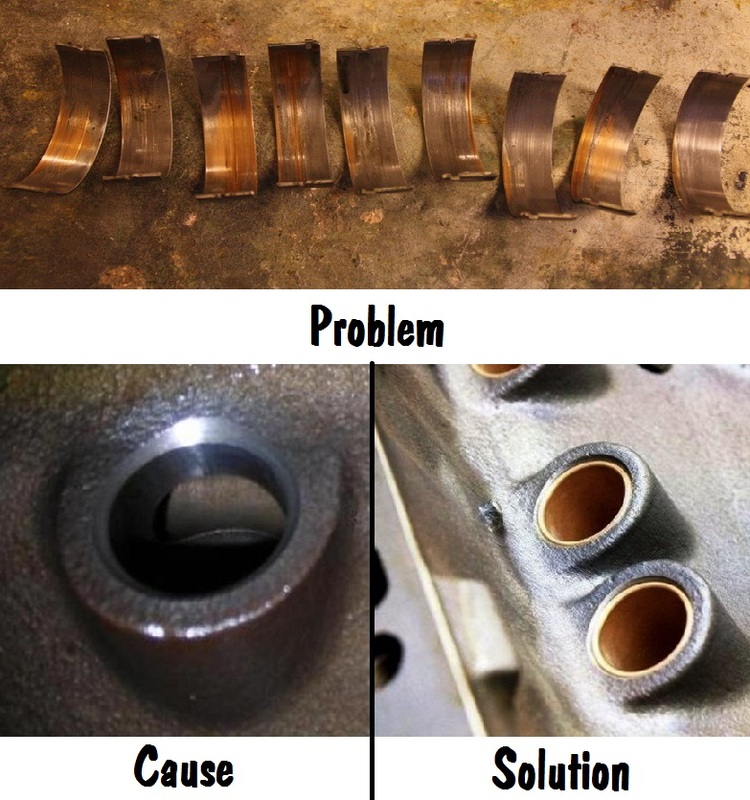 The symptoms of insufficient lubrication are evident even in low mileage and gently operated engines; those symptoms include ribbons of bearing material lying in the bottom of the oil pan, scoring of the bearings, bearings that have sections which have been polished by the crankshaft, or bearings in which the silver colored top layer of bearing material has been worn through to expose the copper colored substrate. Lubrication system pressure is supposed to be controlled by a relief valve built into the 351C oil pump. The setting of the relief valve is controlled by a spring intended by the designers to maintain 60 psi nominal hot oil pressure by 2000 rpm (50 psi minimum). Hot oil pressure below 50 psi is common for a 351C however. Hot oil pressure below 50 psi indicates the relief valve is fully closed yet the oil pump cannot supply enough oil. An excessive amount of oil is therefore flowing into various "clearances”, overtaxing the pump’s capacity. Some of those clearances are the result of excessive rod bearing wear. First they allow cavitation created by tappet motion to impede the amount of oil flowing to the main bearings. This leads to insufficient lubrication of the rod bearings and causes excessive rod bearing wear and damage. Oil not only lubricates bearings, it cools them as well; at some point above 7000 rpm the rod bearings fail completely due to under-lubrication and over-heating; the bearings for connecting rod #2 or connecting rod #7 are usually the first to fail due to the “clocking” of the crankshaft oil passages supplying those bearings. Second, the over-sized connections allow an excessive amount of oil to be wasted via the tappet clearances. Oil wasted via the tappet clearances and via the clearances caused by worn rod bearings over taxes the oil pump’s capacity and makes it impossible to achieve Ford's hot oil pressure specification (60 psi nominal, 50 psi minimum at 2000 rpm). Third, the over-sized connections create tappet compatibility issues. Tappets having the wrong oil metering design (such as edge-orifice metering) supply too much oil to the valve train. The oil pan can be "pumped dry" when an engine equipped with the wrong tappets is operated continuously at high speed. Ford found it necessary to redesign the tappets installed in the 351C because tappets designed for the small block Ford and 351 Windsor allowed too much oil to flow to the 351 Cleveland valve train. The use of the 351 Cleveland in higher level racing began in 1971 (and was in full swing by 1972). The 1971 race season was the year they discovered the 351C had a problem lubricating the rod bearings. After their earliest attempts to fix the problem failed the tappet bore bushings were tested in 1973 by Ford sponsored (or formerly sponsored) race teams who found the bushings were successful at alleviating the problem. Tappet bore bushings replace the over-sized connections between the tappet bores and the main oil passages with small orifices, typically 0.060 inch. Since under lubrication of the rod bearings caused catastrophic bearing failure above 7000 rpm, tappet bore bushings have been considered a necessity by informed racers since 1973. Ford literature regarding the bushings does not exist however, because 1973 was the year Ford stopped promoting high performance and racing, they stopped selling high performance parts, and they stopped publishing the OHO Newsletter. News of the tappet bore bushings was therefore spread by word-of-mouth only ... and Ford’s bushing installation kit was sold under-the-table. Typical of professional racing, some teams shared the information about the tappet bore bushings while others chose not to share the information, hoping to gain an advantage over other teams. 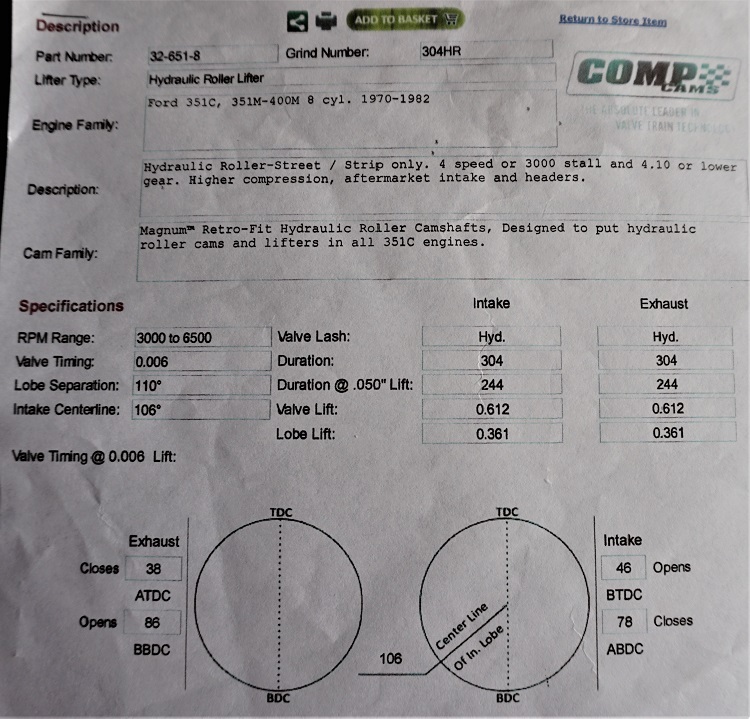 The 351C lubrication issues are not isolated to high rpm racing, the issues impact street engines as well. At lower engine speeds the under lubrication of the rod bearings does not cause catastrophic bearing failure as it does at higher rpm, but it does result in excessive rod bearing wear. The use of heavy duty tri-metal bearings masks the problem in street engines somewhat because they are not damaged as badly as standard babbitt bearings, but the heavy duty bearings experience unwanted wear just the same. Tappet bore bushings were for a long time considered unnecessary for street engines however. This opinion was rationalized by the fact that the expense of their installation was too high to spend on a street engine, considering that the rod bearings did not catastrophically fail in street engines limited to 6200 rpm or less. The reasonably priced tappet bore bushing installation kit sold by Wydendorf Machine changes all that, the arguments against tappet bore bushings have become a moot point, the kit makes tappet bore bushings a viable solution for all Cleveland engines. The price of the Wydendorf kit is less than what some people spend on valve covers, it is financially accessible to mechanics rebuilding a Cleveland engine on even the most modest budget. It no longer makes any sense to argue against tappet bore bushings, there is no longer a reason for any Cleveland engine to be plagued with abnormal rod bearing wear or any other lubrication related issue. Certainly your preferences in performance is what it's all about, but, if you want to idle with clutch out in first gear, I think you may want to examine the possibilities of getting a 50 chop top Mercury with a automatic. This quick articular from H.R. helps with understanding the cam question. personally i wouldn't even consider risking the time & gasket set to assemble any roller lifter 351C w/o lifter bore bushings. there have been precious few roller lifters ever to come on the market that worked satisfactorily in the 351C and most if not all are now no longer produced. progress. restricting oil to hydraulic lifters is always controversial but seriously, they need enough to function properly & no more. the lifter oil galleys in the 351C block are ridiculous, what about 1/2" diameter? this large window allows the lifters to churn & cavitate the galley (that's bad) further reducing the ability of the main & rod bearings to get proper oil supply. bush the lifter bores and the large window no longer exists, the block becomes Priority Main Oiling (that's good) and the bottom end has an crazy better oil supply from a standard volume pump. the engine will make & hold excellent bottom end oil pressure with no lifters installed! If a 351C is metering oil flow to the valve train with the proper lifters, if it has restrictions in the oil passages supplying the cam bearings, AND if it has no excessive clearance issues between the lifters and lifter bores it is good to about 7000 rpm, but above that the lubrication system will still underfeed the reciprocating assembly. This is what guys were discovering circa 1971 or 1972. Keep in mind they were using factory fresh blocks, not used blocks. The first fix was the high pressure spring, but that didn't resolve the problem. Boosting the pressure wasn't the answer. Several other tricks were tried by Don Nicholson and others, the patch that eventually fixed the problem was the lifter bore bushings. Whatever the dynamics are going on inside the right had oil galley I can't explain, but the only thing that guarantees adequate oil supply to the reciprocating assembly above 7000 rpm is to isolate the oil galley from the lifters. 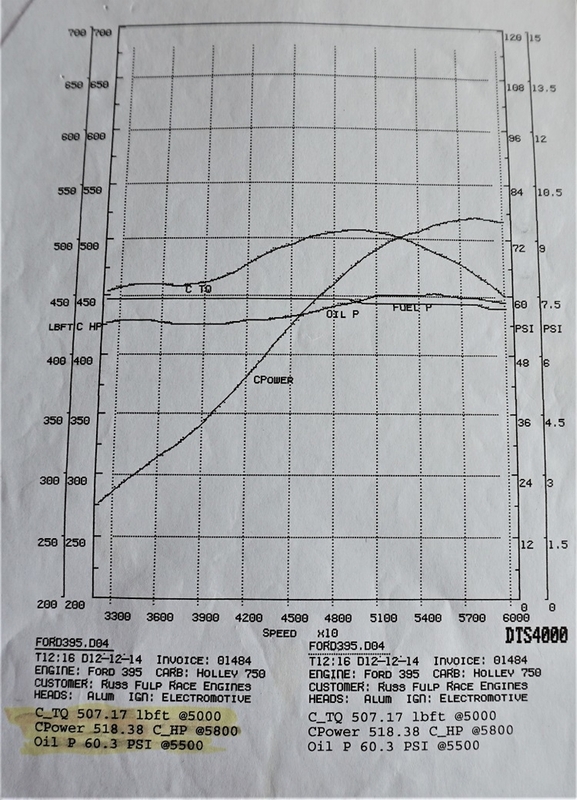 A short time later Ford began selling a lifter bore installation kit similar to Denny's. Don Nicholson began using the bushings circa 1973, unfortunately the OHO Newsletter was cancelled in the spring of 1973. Had the Newsletter remained in publication I'm sure the availability of the bushing kit would have been announced in its pages. Instead it's existence was hidden in Ford's parts inventory along with all the other semi-secret racing parts. With used blocks lubrication problems can and do crop up at engine speeds below 7000 rpm. Combine that with the lifter compatibility problems people encounter, and this is why I've adopted the recommendation I have. There are several ways to misdirect where the oil flows in a 351C; too much oil can flow to the valve train, too much oil can flow to the camshaft bearings, and too much oil can flow in the clearances between the lifters and the lifter bores. In each situation oil is being robbed from the crankshaft, because the crankshaft doesn't have first priority to the flow of oil as it does in the Fairlane/Windsor V8 or the 427 FE "side-oiler" V8. 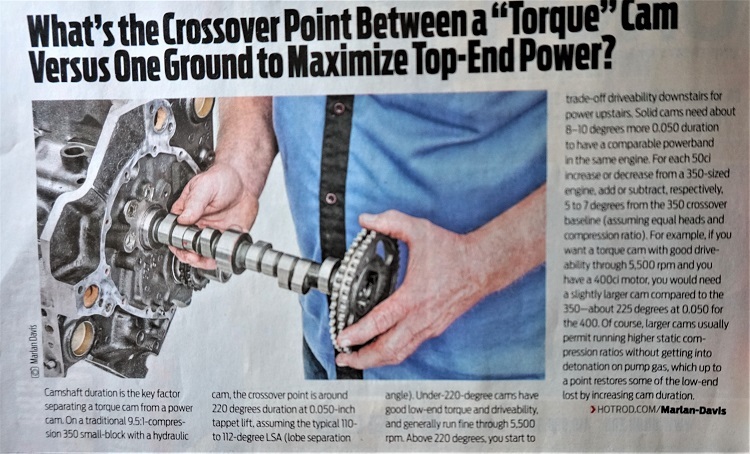 Lets focus on the lifter to lifter bore clearance issue. The production specification for lifter OD is 0.8740 to 0.8745. The production tolerance for the lifter bore ID is 0.8752 to 0.8767. If a lifter with the minimum OD (0.8740) is installed in a lifter bore with the largest allowable production ID (0.8767) the clearance is 0.0027 which is greater than the clearance between the crankshaft bearing journals and the bearings! More oil would flow to this leak than would flow to the bearing journals! FYI: the factory tolerance for lifter to lifter bore clearance is 0.0007 to 0.0027", the nominal clearance therefore is 0.0017". According to Fordmech " Lifter to bore clearances exceeding .0015 are surely going to be pretty big leakers as multiplied by 16". Yet the nominal factory clearance is 0.0017" ... and even 0.0027" is within spec! If a block has worn or egg shaped lifter bores the nominal clearances will be greater yet. Lifter bore bushings may be required for a high mileage block simply to achieve enough oil pressure even if the motor is only planned to be used to propel a grocery getter. This is going in a 1970 Mustang. Now my next question concerns the intake manifold. Right now I'm debating on getting an EFI Weber-style 8-Stack with 50mm throttle bodies for my engine. I was curious about the pros/cons of an EFI IR induction system vs a Torker 351 EFI setup with the cam suggested earlier. Is that still a good cam or should I switch to a more/less radical one? Rene, I installed Rhodes flat-tappet fast-bleed lifters in my modified engine in 1992- not for performance, but so my Ford/SVO camshaft (p/n M-6250-A341) would retard enough to allow the Pantera to pass CA smog testing.... which it did, in spite of 10.5:1 compression closed-chamber aluminum heads. The same Rhodes lifters are still in the engine today. Rhodes offers the same specs in a hydraulic-roller lifter, too. BTW, my Ford-sold hydraulic cam is pretty mild by today's standards but it did improve power- and reduced fuel mileage by 2 mpg at cruise. If you were planning to use the cam I penned, you do not need Rhodes tappets. It was designed to provide drivability, good vacuum at idle, and low rpm power as-is. If all components are set up as they should be the engine will make peak horsepower at 6500 and want to pull well above 7200 rpm. I do not recommend revving the engine beyond 6200 rpm however unless the engine is equipped to survive operation above 6200 rpm.